With players coming and going, roles need to be filled on teams, and some players just respond quicker than others. North Dakota State’s AJ Jacobson clearly had a big year as a redshirt freshman, which was a huge help to the Bison as they lost three key seniors from their 2014 championship team. IUPUI’s Marcellus Barksdale went from averaging 0.3 points per game as a freshman in 2012-13 to averaging 8.6 points per game in his sophomore season, and now is considered an All Conference candidate by many. South Dakota State’s Keaton Moffitt transferred from a division 2 program to be a top guy off the bench for the Jackrabbits. Omaha’s Mike Rostampour made an immediate impact with Omaha in his junior season after transferring from division 2. With the Bison and Jackrabbits as the two favorites to repeat as the two top teams in the Summit League, the league seems to look like it will be in a pretty tight battle for who is 3rd to 8th (or 9th) in the conference standings at the end of the year. So who are some of the potential wild cards in the Summit League that can set their team apart in 2015-2016? Here is a statistic that may jump out at you. Denver returns the second fewest amount of division one starts on their roster in the Summit League, behind IPFW. They are a young team, though so was North Dakota State last season, with 6 freshman and 4 sophomores on the roster, so I am incredibly curious who can make up for the losses of Cam Griffin, Brett Olson, and Jalen Love. The team virtually has no post game, but it is not really something that is incredibly needed in the Princeton offense. Barry Collier ran the Princeton offense really well without a competent big man at Nebraska. That was a really bad joke. Could sophomore Daniel Amigo make a big jump if he is healthy? He started in all 15 of the games he played in during his freshman year averaging 5.7 points per game, and had three double digit scoring performance, but they were all in blow outs. Daniel Amigo is super serial. Could Konchar be a big time player as a freshman. He redshirted in his first season with the ‘Dons, I assume because of the 4 upperclassmen guards that were on the roster last season. Konchar averaged 29 points, 14 rebounds, 4 assists, 3 steals, and 2.5 blocks per game in his senior season in high school in Chicago. Holy crap! He did see action in IPFW’s preseason game last season, but he only had 3 points in 15 minutes, but hey it was a preseason game. Talla is seriously the biggest question mark for IPFW. He redshirted at USC Upstate his freshman season, and then only played in 2 games in junior college because Mississippi is the worst place on earth. So how much of an impact can a guy be who has basically not played a competitive game of basketball in 3 years. Pickett transferred to IUPUI after only playing in five games at Loyola before suffering a season ending injury in 2013-2014. The Jaguars do not have much of a back court, they have a lot of 6’5″ guards, but can the bigger players deal with all of the smaller shooting guards the Summit League has to offer. Pickett is likely to have a big role for the Jaguars in 2015-2016. In the Jaguars’ red-white scrimmage last season, which was basically IUPUI vs their players who were forced to redshirt due to transferring, Pickett was able to score 11 points against…the Jaguars. One of three transfers from Loyola on the roster. Osborne is expected to make an immediate impact with the Jaguars, as they have not had much talent in the post in a few years. 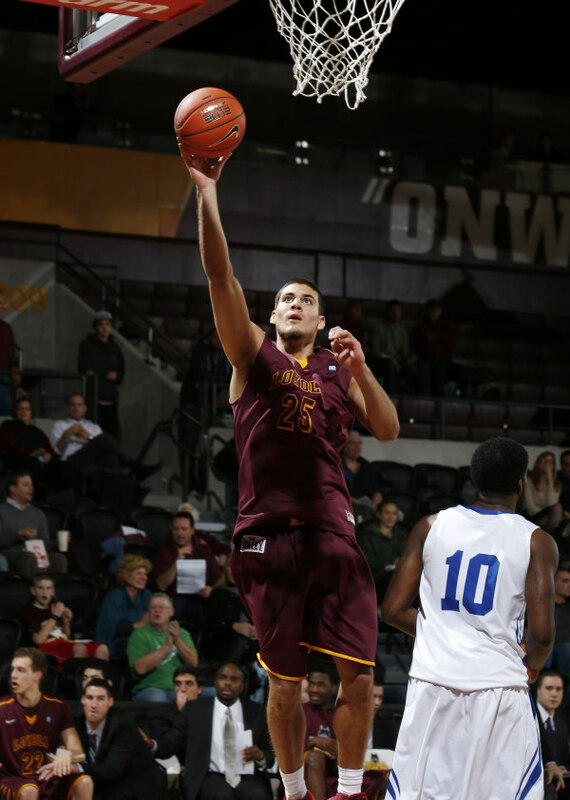 Osborne averaged 5.4 ppg and 4 rpg, and shot 50% from the field in his sophomore season at Loyola. He did average 3 fouls per game, so curious to see how much time he will spend on the bench due to foul trouble in the Summit League. How much of a difference can Nick Osborne make with the Jaguars. One could ask; who is going to be make up for the 19 points per game that they lost in Lawrence Alexander? Can Kory Brown, Carlin Dupree, Paul Miller, and junior college transfer sophomore Malik Clements make up that 19 points a game in the back court? Yes, they probably can. Can Jake White be the best post player in the Summit League? Can he? Last year we were teased with White. With 10 rebounds in his first half as a Maverick, we were thinking our front court would be unstoppable with him and Mike Rostampour. 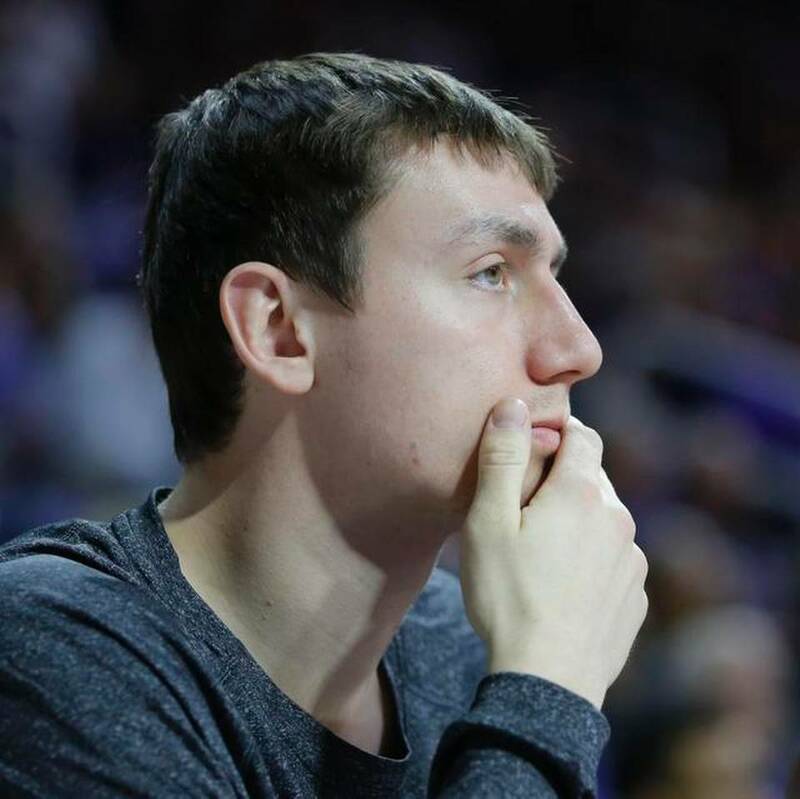 Then a few minutes into the second half, White hurt his knee, and then for almost a month we kept being told: not this game, but next game probably… If you look around the post players at the Summit League, White is capable of being the best post player in the League, but he has to stay healthy. When White transferred, Derrin Hansen stated that White would be the best post player in the Summit. 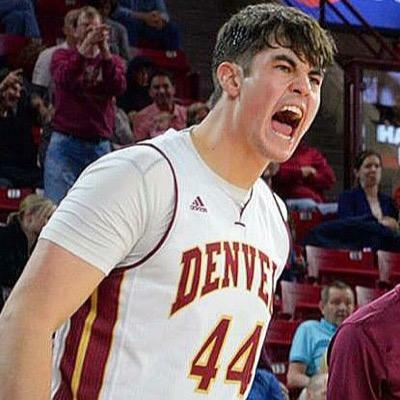 Meyer only played 4.5 minutes per game in his freshman season with the Mavericks, but with Mike Rostampour and Rylan Murry (i cried a tear) no longer on the roster, Meyer should expect more playing time in his sophomore season, I mean, right? It sounded as if he did really well in Italy, but it did not sound like the teams the Mavs played against had many players taller than 6’5″…but I did not look at official rosters, just shady looking websites that did not look fully updated. When Meyer did play last season, I was never terrified that he was going to ruin everything. He seemed to move pretty well without the ball, set good screens, and had a nice touch. He even looked like he could be as good as a passer out of the post as John Karhoff, but we will have to wait and see. With the graduation of Denell Henderson, Owens will competing for the starting center position with junior college transfer Tre Vance. Owens did average 3.8 ppg and 2.4 rpg, but he never really received any significant playing time in any of the Golden Eagles’ big games. 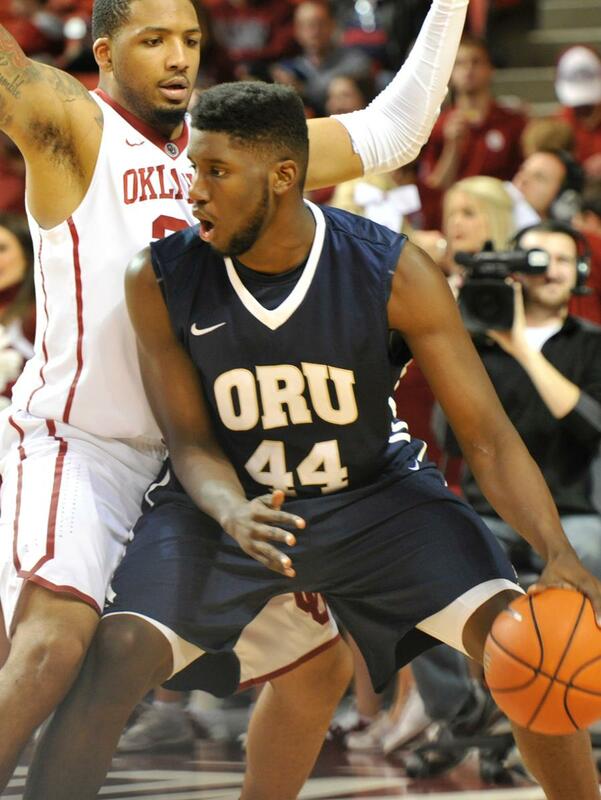 Yet, if you look around at some of the conference predictions, Owens is expected to be a big key factor to ORU’s success. You know, assuming they have some success this season. Owens has great size listed at 6’9″ and 260lbs. Bradley is familiar with the Summit League, as he originally played for the Mavericks, but he only played in a total of 26 minutes against the Summit League due to injuries in 2013-2014. Bradley went on to junior college for his sophomore season, where he averaged 17 points per game. Everyone knew Bradley could shoot at Omaha, I remember watching him shoot from half court in warm ups and making it regularly, but we did question if he could defend or play the point guard position. While he was at Omaha, they were deep with guards with: CJ Carter, Marcus Tyus, Alex Phillips, Caleb Steffensmeier, Devin Patterson, and Justin Simmons. The Mavericks could have used him in his sophomore season as that energy guy off the bench, and that would likely still be his role, but ORU fans are expecting him (and 6’3″ Div 2/Fresno State transfer Aaron Anderson) to fill a void left in Korey Billbury and Bobby Word. That is a lot to ask. 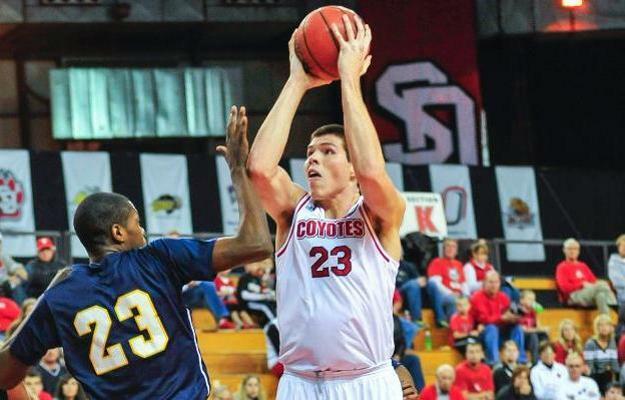 Norris started in all 28 games he played in for the Coyotes in his sophomore season, but then was sent to the bench in his junior season as Craig Smith took over at South Dakota. Can he be counted on to be the starter again and help lead the Coyotes to another winning record? Sat out 2014-2015 with an injury. He started 19 out of 29 games his freshman season and 27 out of 30 games in his sophomore season. As a sophomore, he averaged 8.5 ppg and 4.7 rpg, he also shot 55% from the floor. Is he going to be the same after a serious injury, and will Smith have big plans for Flack? Can Tyler Flack be Tyler Flack again? Here is a glaring stat for South Dakota. I was looking at the South Dakota State fan forum, wishing I had it in me to do some trolling, and the Jackrabbits are pretty stoked that they return so much of their scoring. The Jackrabbits return 74% of their scoring, which is second in the conference behind Western Illinois who returns 89% of their scoring, but that is Western Illinois… Anyway, South Dakota lost the most scoring in the Summit losing 54% of their scoring. So they are going to need Flack and Norris to return to 2013-2014 form. Did I mention that South Dakota State is returning 74% of their scoring? I think I just did that. Most of that is the loss of Cody Larson. The Jackrabbits arguably have the best guard trio in the Summit League with George Marshall, Deondre Parks, and Jake Bittle, but they are left with little in the post after the loss of Larson, and they are young in the post. Devine and Theisen shared the time behind Cody Larson in the post last season, can they and freshman Nebraska natives Michael Daum and Adam Dykman make up for that loss in Larson? When you only when 8 games, you lose 13 of your last 14 games, one of your wins is a 2 point win at home against Devin Patterson-less Omaha team, and 15 of your 20 losses are by 10 points or more, there is not much confidence riding in your team going into the next season. So basically everyone on your roster not named Garrett Covington is a wild card. The Leathernecks did have some injury issues in 2014-2015, and they have the 2nd most returning division one starts on their roster in the Summit League behind North Dakota State, and as previously mentioned, they do return 89% of their scoring.